Thanks for “swinging” on by again, Spider-Fan! It’s time for another installment of our amazing, spectacular, sensational, deadly foe-y and, most importantly, essential – no, wait – indispensable (!) Spider-Man Chronology. 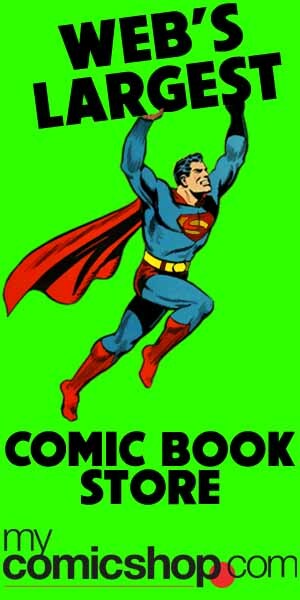 This week, we look (mostly) at issues published between ’75-’79. Very important issues are marked with two asterisks (**), while issues that are part of those storylines, without the major event, are also included and marked with a diminutive one asterisk (*). Search for “**” in this below to further pare down the list. 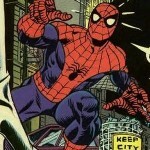 Issues are considered essential if the story contains changes to the status quo, the story is considered as one of the best Spider-Man stories or the stories introduce a new, important character. This was truly a strange period in the Spider-Man chronology. Since the death of Gwen Stacy, the original supporting cast began to fall out of favor in the Spider-Man books, such as Harry becoming the next Green Goblin and Flash going off to war. 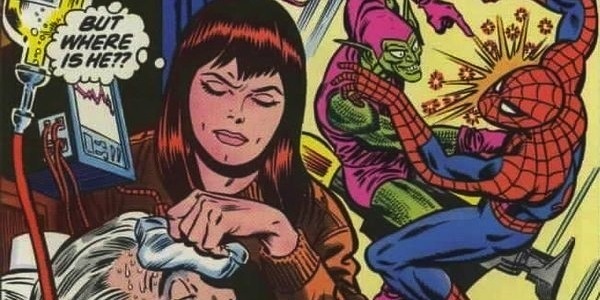 This period of the Spider-Man chronology sees more departures, as Mary Jane rejects Peter’s first proposal and leaves, Jonah goes crazy and leaves the Bugle and Aunt May is thought dead for a period as well. These stories make the cut, as do the introduction of Carrion as a clone of Miles Warren and the introduction of yet another Green Goblin. Sadly, many of these stories tended to be sequels (Carrion via Clone Saga, Green Goblin III). This period is very unique, as many of the most compelling supporting characters take a back seat, and the books seem to have less direction, though there are still some important elements here that are essential reading. This list is pared to down to just 47% of potential issues in this era, though that drops down to 21% for the most essential issues, which is rare for a period when there are just three ongoing Spider-Man titles. Gerry Conway and Ross Andru continue their Amazing Spider-Man run, though Len Wein, then Marv Wolfman, eventually takes over, as does Keith Pollard. Over in Spectacular Spider-Man, Bill Mantlo and Sal Buscema, with Jim Mooney replacing Sal later on. Finally, Chris Claremont, occasionally recreating the Bronze Age X-Men team with John Byrne, pens most Marvel Team Up issues of this era. As usual, those Marvel Team-Up issues, while very good, are not included in this essential Spider-Man chronology list, as very few repercussions are felt from that series. Amazing Spider-Man is joined by a new series in this Spider-Man chronology with the launch of the Spectacular Spider-Man, which starts off this list. Marvel Team-Up is still consistently published in this era with a great creative team, though with very little influence on Peter Parker’s overall story. 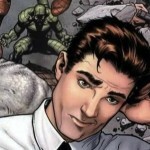 For Spider-Man, we mostly see fallout from previous storylines, such as the introduction of Green Goblin III and Carrion. 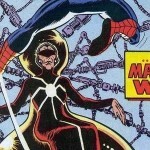 We also see a run of issues that has a villain make Peter think Aunt May died, though only to return at the end of the run. Also during that run we see Spider-Man confront the burglar that killed uncle Ben. 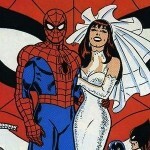 For Peter Parker, there are some essential life changes, as Betty Brant gets married, Mary Jane rejects his proposal and leaves, all the while he finally graduates to continue on his graduate studies.